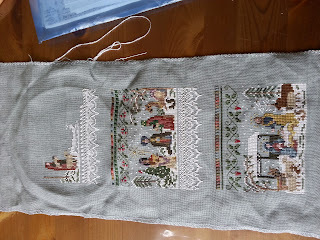 We went for a short holiday, and I took my Official Holiday Piece with me: Victoria Sampler here I go! 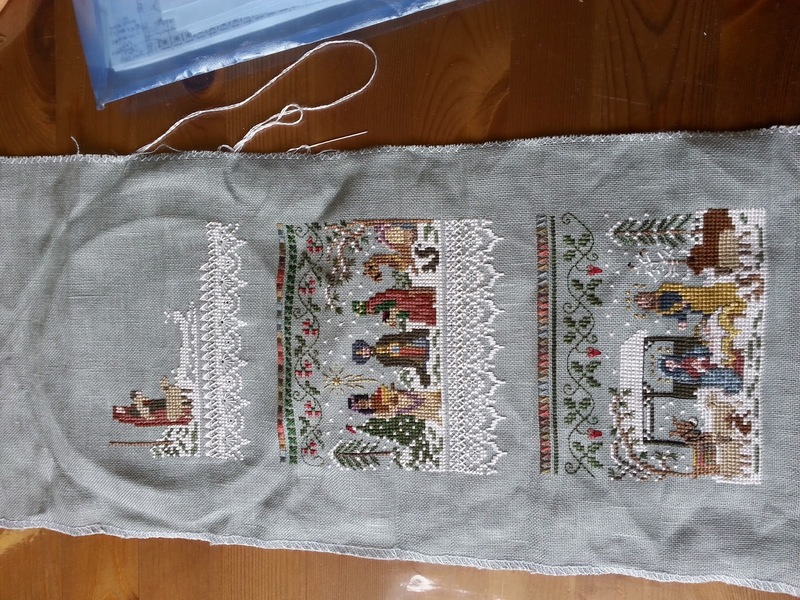 I finished the tableau with baby Jesus and the parents last time in July, and now I managed to put a lacy line and a shepherd with a sheep in. Not much but better than nothing with 2 little ones next to lake Balaton. Fishing in the heat - lots of catch!